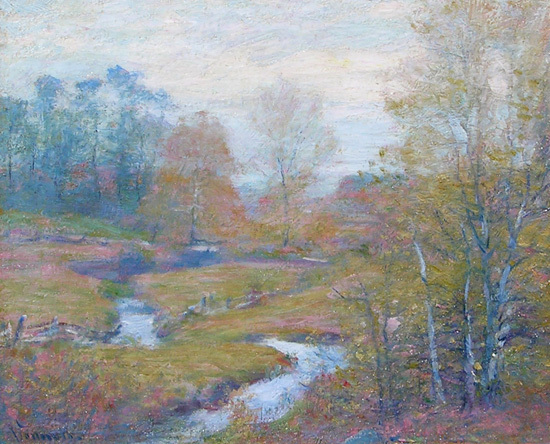 Robert Vonnoh was born in Hartford, Connecticut, in 1858. He started his art studies at the Massachusetts Normal Art School in Boston, and continued his education at the Academie Julian in Paris. 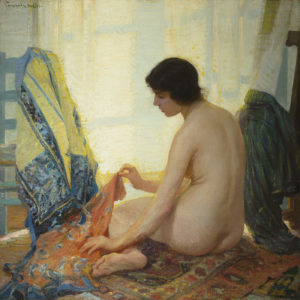 Vonnoh was one of the first of the Americans artists to be deeply influenced by the Impressionist movement. 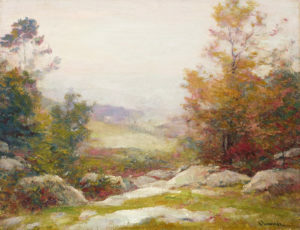 Vonnoh is remembered as an influential teacher as well, having taught Robert Henri and Maxfield Parrish at the Pennsylvania Academy of Fine Art. A frequent visitor and resident of France, Robert Vonnoh died in Nice in 1933.